Gainesville, the largest city in Alachua County, Florida has a population of 128,460, according to the 2014 census. Since the year 2000, there has been a rise in the population of about 33%+ and this phenomenon shows an upward trend. 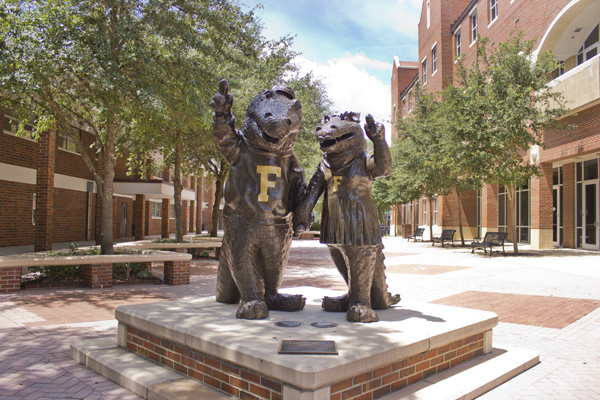 Gainesville is also home to the University of Florida, where the median resident age is 25. With the constant market changes for real estate, the median rent has witnessed a growing trend since 2015 and into 2016 by an average of $1,295 per month. Gainesville is divided up into 6 different neighborhoods based upon a grid system, each neighborhood has a unique character and offers something distinct to its residents. Let’s take a closer look at these neighborhoods. Midtown is where downtown and the University of Florida campus meet. 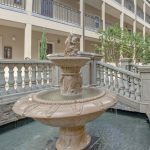 Just like in other cities, Midtown Gainesville is a melange of commercial real estate and some of the most sought after apartments in Gainesville. 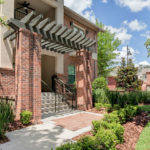 Being in proximity to campus, it has some of the closest apartments near sorority row UF. If you are looking for easy access to the University, this is as close as you can get. The area is well surrounded by bus lines and bike routes, as it is also exceedingly pedestrian friendly. These characteristics make Midtown Gainesville, the ideal place to live for UF students. Downtown Gainesville has a very urban vibe with an eclectic mix of law firms, startup companies, restaurants, and clubs. The downtown area has a thriving arts and music community, with free concerts and farmers’ markets. 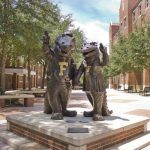 Downtown Gainesville is bike friendly, but it is located further away from bus routes and the University of Florida campus. The downtown area serves as a conduit to the historic neighborhoods, such as the Duck Pond and the Bed and Breakfast district. The historic Duckpond community consists of houses that were built in the mid to late 1800s and is home to younger families. The neighborhood east of Main Street is considered the East and Northeast neighborhoods. They are made up on a grid system which spans from the east of University, by Hawthorne Road. This residential area is far from the center of campus and has little student population. Northeast Gainesville is primarily populated by locally owned businesses and restaurants. The area is less frequented by bus routes which make commutes tough. Many residential neighborhoods and wide-ranging forests are based in this area; the Southeast side of Gainesville has Paynes Prairie Preserve State Park, Morningside Nature Center, and the Hawthorne trail. These parks are perfect for immersing yourself into Florida heritage, and homes in this area have extensive lake and prairie views. However, some homes can be about a 20-minute drive out from downtown Gainesville and are mostly rural. The southwest side of Gainesville comprises of primarily shopping areas, apartment complexes, big name stores, and hospitals. The second most popular student section, though bus rides can take 20 minutes to an hour, and biking could potentially be dangerous with heavy traffic congestion. Houses are also just in outlying areas of Paynes Prairie, but isn’t quite as rural, and is known for large developments of apartments and houses. As Gainesville continues to grow, more development pushes northward. New homes in old subdivisions, lakes and creeks, small shopping areas, and Santa Fe College are over on the Northwest side. Development is continuously extending beyond I-75, though this area is known as an older family community, for those who want to be near good grade schools. Not many bus routes go to the University of Florida directly from these neighborhoods, making commute time extensive to downtown or midtown. Gainesville’s continued growth trend has resulted in the rising costs in the housing market. 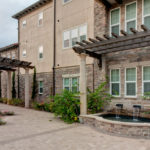 While the construction of housing developments continues northward, there is a high demand apartment complexes alongside Sorority Row and the University of Florida, the heart of Gainesville is a cultural hotspot rich within the community and each divided neighborhood has a diverse quality that continues to increase each year.